Over the last few years, I've written a number of Secondary resources to accompany the Digimap for Schools service. My colleague Paula Owens wrote a whole tranche of Primary resources too. The resource area has now had a revamp so that it is easier to access particular resources from the archive. The new look page can be accessed HERE. 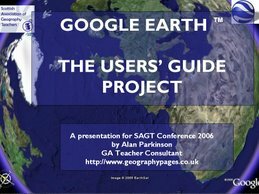 This blog started back in 2006, and the first few posts act as an archive of all the slides and materials I used at the SAGT Conference in October of that year. It has since grown to incorporate weblinks taken from GeographyPages and other sources, as well as a range of ideas, tools, plugins, technology and other things related to Google Earth / Maps / SketchUp etc.. 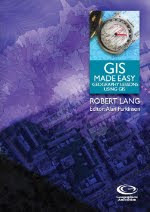 It also offers a range of tips for ArcGIS Online as this is replacing Google Earth as the free 'GIS' tool of choice in a lot of schools, and Digimap for Schools as the subscription service of choice.